The Department of State’s Passport Services Directorate issues U.S. passports to traveling Americans. Passports are a request to foreign governments to permit you to travel, and also allow you to re-enter the United States. The passport book for all international travel by air, land, or sea. 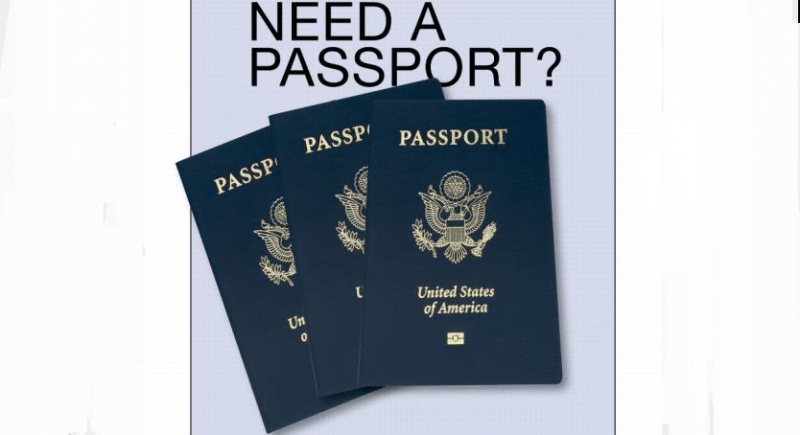 The passport card to enter the United States from Canada, Mexico, the Caribbean, and Bermuda; and at land border crossings or sea ports-of-entry. U.S. citizens cannot use the passport card for international air travel. However, the wallet size passport card is convenient and less expensive than the passport book. Whether you plan to apply for a first-time passport book, passport card, or both, submitting your passport application is easy. The U.S. Postal Service® makes it convenient to apply for a passport with the Retail Customer Appointment Scheduler (RCAS) tool. Customers now have the opportunity to self-schedule a first-time passport application appointment online or on a mobile device at usps.com/scheduler. The RCAS tool will display available appointment times for participating Post Office™ locations that offer passport appointment services within the selected radius. Users will receive notifications of their scheduled appointment. If you are renewing your passport, you must do so by mail; you do not need to make an appointment. Simply take your documents and payment to the nearest Post Office and mail everything to the Department of State using Priority Mail® or Priority Mail Express® service. Apply for your passport book or card early. Check the expiration date of your current passport. U.S. passports are issued to adults for 10 years and children under the age of 16 for 5 years. Report your passport lost or stolen. Enroll in the Smart Traveler Enrollment Program at step.state.gov/step/. U.S. citizens and nationals who travel and live abroad can use this free service to register their trip with the nearest U.S. Embassy or Consulate. This entry was posted in Clerk Business, General Union Business and tagged APWU Clerk Craft, Department of State, International Travel, passport appointment services, Postal Bulletin, RCAs, Retail Customer Appointment Scheduler, U.S. citizenship, U.S. Passport. Bookmark the permalink. ← Where can I find the order for filling a Custodian position?